With rumors of the debut of a low-cost iPhone beginning to swirl, it’s important for iPhone developers to assess what it would mean to them. The rumors are currently suggesting an iPhone model with less storage than previous iterations of the device. This new model would rely on Apple’s cloud storage services for its data needs; music, photos and other media would be saved to and pulled from the cloud in lieu of being saved to the device. Anyone running or working for an iPhone development company should be paying close attention to what Apple unveils in the coming months. For iPhone developers, one thing to make note of is that a low-cost version of the smartphone means more users to market apps to. Currently, the biggest hurdle to owning an iPhone is the cost. If Apple were to release an iteration of its model that could be afforded by a less well-off segment of customers, it would potentially mean millions of new users flocking to iOS. Apple would finally have a device to compete with the lower-end Android devices that are currently available. For an iPhone development company that also develops for Android, it would likely mean that they need to consider shifting resources to iOS development. By taking this step, iPhone developers would avoid missing out on a massive wave of potential new customers. Another thing to keep in mind is that a low-cost iPhone doesn’t just mean more users. It means more users who otherwise couldn’t afford to purchase one of Apple’s phones. These same users are also much more likely to prefer free apps over paid ones. Since the Apple App Store currently has a strong focus on paid apps, this could mean a chance for an iPhone development company to steal market share. By releasing ad-supported alternatives to paid apps, iPhone developers could cash in on a new market segment that inherently prefers free apps. The prospect of a low-cost iPhone is certainly interesting to consider. The move makes sense for Apple because it would help stop some of the bleeding that has been caused by Android over the last year. Almost any iPhone development company would be sure to appreciate this, as it means a larger market share. On the other hand, it also means deviating from a strategy of releasing only one model at a time – something that has worked out extremely well for Apple over the last four years. 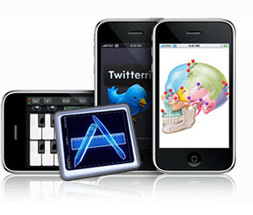 This entry is filed under Apple, iOS 5, iOS application development, Iphone, Mobile application development. You can follow any responses to this entry through the RSS 2.0 feed. Responses are currently closed, but you can trackback from your own site.